White Spring Blossoms – Free high resolution photo of white blossoms on a flowering crabapple tree. 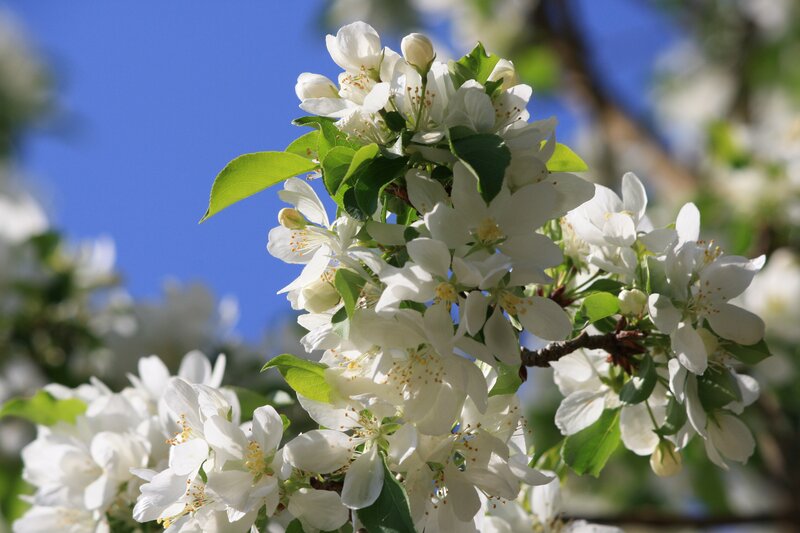 Crabapples bloom in the early spring, and this photo shows the white flowers, with small green leaves and a beautiful blue sky in the background. Free picture for any use.